How do I reach customers? How do I get the word out about what we do? How do I know which marketing efforts will work for my company? There is one secret to marketing. Once you understand that, nothing else matters. 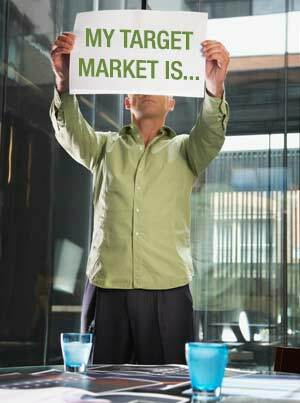 Seecomm Group helps your organization find the one secret to marketing for your organization. Each company is different and unique. We'll help you define your market and develop a plan of action that will pair your goods or services with the needs of your target market. Brand development is not just creating a name or logo. It is identifying and capturing in image and words how you uniquely meet customer needs. Sometimes we are too close to our products or services to see what the customer sees. Let Seecomm Group help you refine your strategy and brand to reach your target market and get results. Marketing begins with understanding your customer. Most companies think they know who their customer is but don't always test their assumptions. Seecomm Group's market research team can provide industry information, market trends and data to profile your customers. We can help you profile the customers already in your database or prospective new customer segments. Or, we can conduct primary market research studies that help you understand what your clients, customers or members are really thinking. Unless you truly understand your customers, you can't be sure you are sending the right message through the right media. Ask your Seecomm Group consultant about developing a complete and thorough customer analysis for you today. "Getting the word out there" about your organization comes at a cost. You want to make sure your time and financial investment in marketing campaigns pays off. How do you know which marketing or promotion efforts will deliver results? Seecomm Group helps you zero in on promotions that are most likely to yield the best results with your customers. Yes — we build websites, optimize search engines, create advertising and promotions, and design signs and displays. And we know other companies provide these services. Why should you work with Seecomm Group? Because we get to know our clients and understand their brand strategy, their goals, and their customers. Then we help them develop on-going efforts that achieve the goals they set. We've served as on-call marketing departments where clients rely on us to handle a full range of promotion tactics.